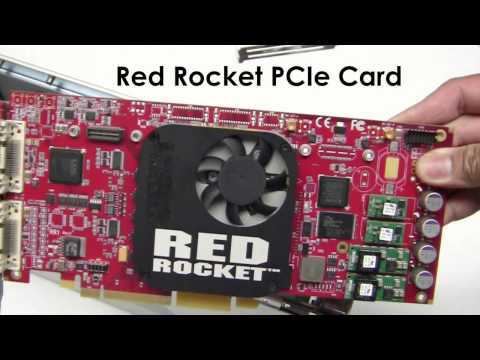 The KIT-RED bracket is designed specifically for use with RED Rocket and RED Rocket-X cards. It lets users combine the RED Rocket BNC connectors with the standard Thunderbolt ports on a single bracket. The kit also includes an auxiliary power cable for the RED Rocket to connect to the expansion chassis’ auxiliary power supply. Free Up An Extra Slot! The traditional RED Rocket expansion setup took up 2 slots, with the BNC connectors occupying their own bracket. With the KIT RED bracket, an extra slot is freed up for use. Utilize your valuable expansion space, and add an additional card to your chassis setup. Magma’s KIT-RED provides everything necessary to make your RED ROCKET experience even better when used in conjunction with a Magma Thunderbolt 2 Expansion chassis. This includes a special power adapter which allows power-hungry RED ROCKET cards to function properly.